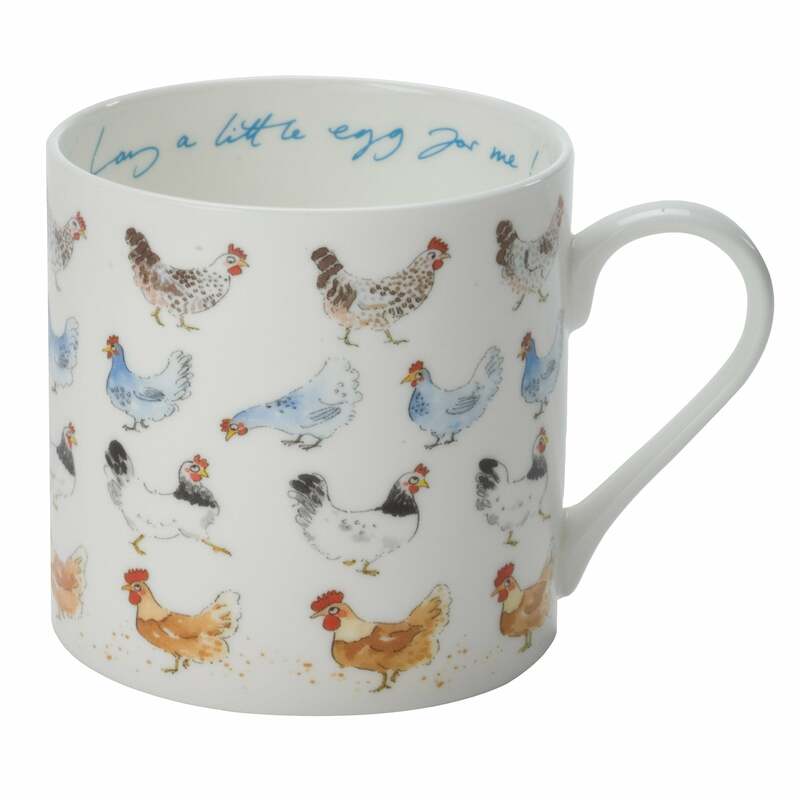 The Sophie Allport Chicken Large Mug is a lovely fine bone china mug featuring assorted hens and eggs and is the perfect addition to your country kitchen. This Sophie Allport mug will brighten every cup of tea or coffee. A lovely gift for any hen keeper or chicken enthusiast.